As your local mechanic, Ararat Auto & Ag Services takes great pride in offering our clients the very best in car servicing and automotive repairs. Conveniently located on the Western Highway in Ararat, Ararat Auto & Ag Services specialises in car servicing for all makes and models, including commercial fleet vehicles. Your New Vehicle Warranty is safe with our Log Book Servicing. Yes we are still Ararat Automotive Services but now have a whole lot more to offer. Ararat Auto & Ag Services has a commitment to high quality workmanship, ensuring the very best in automotive care. 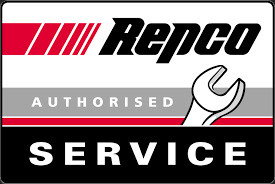 Our business takes part in the Repco Auto Tech training program, ensuring each mechanic is kept fully up to date with modern vehicle repair methods. Our young mechanic Tim Taylor won best in the world during the 2013 WorldSkills competition in Germany which is testament to his dedication to training and up-skilling in automobile technology. Ararat Auto & Ag Services are experts in the diagnosis and maintenance of LPG running problems. Ararat Auto & Ag Services also provides a comprehensive mechanical repair service for 4WDs, small trucks, trailers and forklifts. They repair small engines too. Ararat Auto & Ag Services has a team of versatile and qualified mechanics to service your needs. With a workshop equipped with the latest technology, coupled with world class technicians, we pride ourselves on providing a top of the range service delivering you, our customers, an experience with which you will be delighted. We have an established customer base in Ararat and Stawell and service customers from places including Ararat, Moyston, Pomonal, Great Western, Willaura, Lake Bolac, Maroona, Tatyoon, Beaufort, Elmhurst, Buangor, Crowlands, Halls Gap and surrounding regions. Customers have come from as far away as Edenhope, Horsham, Warrnambool, Dimboola and other Wimmera and Western District locations to take advantage of the exceptional service. Remember, regular competent servicing of your vehicle will improve its performance and ensure that it runs efficiently for longer. Ararat Auto & Ag Services provides Roadworthy Inspections for both light and heavy vehicles. LVT 6272 We can provide a certificate of road-worthiness for cars, 4WD, buses, trucks and trailers. 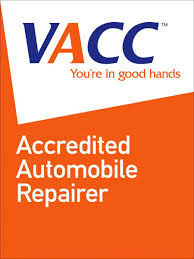 Ararat Auto & Ag Services are VACC accredited and licensed to issue both Light And Heavy Vehicle Roadworthy Certificates.